03 Greedo spoke to XXL about the important role Nipsey Hussle played in building his buzz throughout LA. Nips and Greedo were studio mates on several occasions. Nips was even meant to appear on Greedo's "Never Bend" but conflicting schedules meant that Uzi was chosen instead. After those talks broke down, Greedo agreed to record something for Victory Lap, but for some odd reason, the final copy never made it past the line of scrimmage. 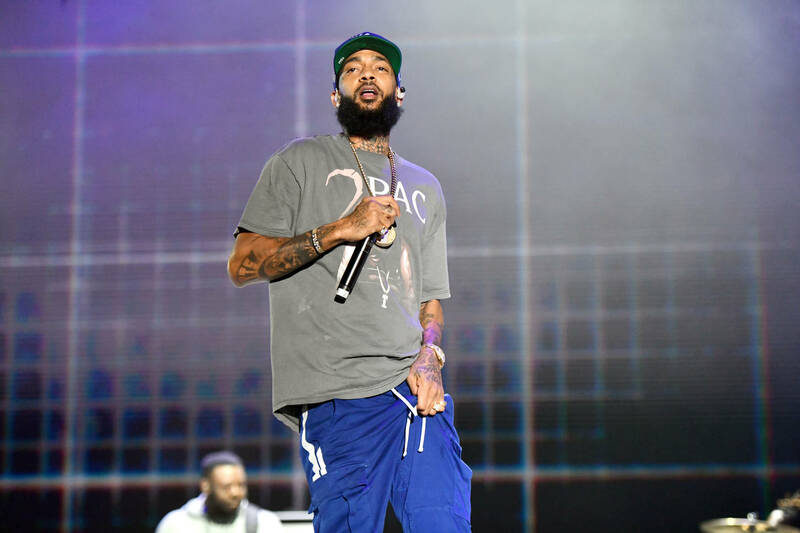 During the aforementioned phone conversation with XXL, Greedo credits Nipsey as the unifying element in LA - from East to West. Greedo understood why there was a need for unity in Los Angeles, as his Grape Street neighborhood in Watts lied on the Crip side of a gang-related border state. Coincidentally, Nipsey Hussle claimed the same color blue in his younger days. "Us being street, us being Crips and coming from a street background, some things I wanted to spazz out about, he would always tell me, 'Naw, you gotta do this, you gotta do that,'" Greedo says. "He always would FaceTime me or I'll FaceTime him if I didn't understand something about the industry."